Each day is a chance to open our hearts. Let love lead the way -- that's how it all starts!! Celebrate your little sweet heart in this imaginative rhyming novelty book with colorful tiered pages and a clever die-cut shape that looks just like a heart! 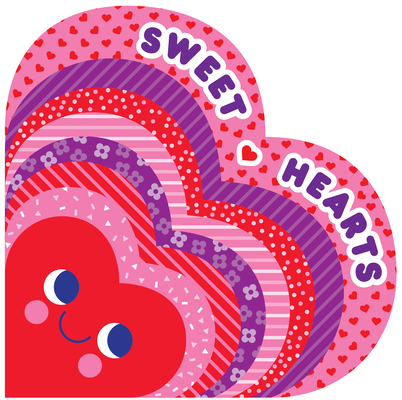 Sweet Hearts is sure to delight curious readers of all ages with its irresistible Valentine's Day theme, rhyming text, and eye-catching illustrations. A satisfying message of love and an irresistible heart shape perfect for reminding little ones they are cherished! Anna Dunn is an illustrator and designer based in London, UK. Visit her online at www.annadunn.com.